What is Home Tending - Hometending? What is Home Tending - Hometending? Home » What is Home Tending – Hometending? Home tending is a creative solution for home owners and real estate agents who have had a property on the market for an extended amount of time. Statistics say a property that is occupied will sell faster, and for a higher value. 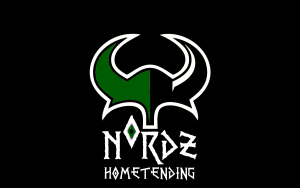 A home tender will lower home insurance rates, keep out vandals, squatters, and thieves, correct neglected lawns, gardens, pools, basic maintenance and get the property shining and ready to show. The hometender is put in contract with the hometending company to live in the home at a discounted price for using their furniture tastefully to professionally stage the property for showing in order for the property to be sold faster and at a higher value. A hometender will exchange dramatically lower rents on large premier homes, agreeing by contract to keep the property in “show ready” condition, and be away from the home whenever it needs to be shown. Because the tenders agree to keep property in show quality condition at all times, more and more Realtor’s are convincing they’re home owners to use this service. Tenders will usually be responsible for paying all utilities such as water, garbage, and electricity/gas. These fees can be a small inconveniences when paying rents that are significantly below market value. Would you like to apply to the Hometending program online now?Apply Here! Do you have a listing or property you want Home Tended?Apply Here! Path to Home » What is Home Tending – Hometending?